Do soft denture liners improve masticatory function? Home » Posts » Dentistry » restorative dentistry » Do soft denture liners improve masticatory function? While the proportion of older people retaining their natural teeth is increasing a considerable number still suffer with edentulism. Increasing use of dental implants is resulting in an increasing proportion having implant-retained dentures. However this option is not available for all and traditional complete denture rehabilitation is satisfactory for most patients. 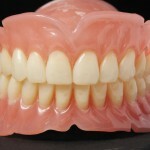 For some pain, discomfort and inability to chew with dentures is a problem. Soft liners can provide relief from these functional problems and both acrylic and silicone materials have been used. The aim of this review was to determine the effects of soft liners on the masticatory performance and muscle activity, using only objective measurement methods. Searches were conducted in the Medline, Embase, Web of Science, and The Cochrane Central Register of Controlled Trials (CENTRAL) databases. Reference lists of relevant articles were also searched. Studies in complete denture wearers with soft-liners compared with conventional complete dentures where masticatory performance was assessed using objective measures were considered. Two reviewers independently selected studies and assessed them for bias. A narrative synthesis of the included studies was undertaken. 6 studies (2 RCTs; 3 cross-over studies) involving a total of 145 patients were included. Study durations ranged from 1 week to 3 months. Most studies reported no significant difference between hard and soft denture liners for most electromyographic variables. Masticatory performance was assessed using biopack, hand-held occlusal force meter and dental prescale system in 1 or 2 studies each. According to the studies brought together for the current systematic review, soft denture liners provided denture wearers with increased masticatory function compared to conventional denture base materials. Specifically, the use of long-term silicone liners significantly improved the mastication parameters. The observed intervention effects suggest further studies of higher quality to allow reliable conclusions to be drawn and to strengthen the clinical significance of these materials to patient’s functionality. 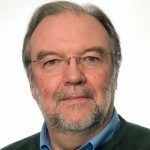 This review has searched three well-known databases for relevant studies, although the restriction of articles to those published in English may introduce a bias, as noted by the authors. In addition on a small number of small studies of short duration were included which should be taken into consideration when interpreting their findings. The heterogeneity of the included studies meant that only a narrative summary was presented. The limited number of small studies that was identified to address this question means that the overall quality of the evidence is very weak so the conclusions should be interpreted accordingly.